Inland Empire: réconciliation autour du Douro (Porto, P). Inland Empire: Re-mediating the Riverbanks of the Douro (Porto, P). The cities of Porto and Gaia have grown exponentially towards the seaside, but mainly to the inland. The river Douro, being the sheer existence of the two cities, has been left to an absolute state of lethe. The Douro River has become an amorphous element, despite its endless possibilities to generate invigorating new urban forms. The bridges of Porto and Gaia are symmetrical both on the long and short sections, meaning that they impose themselves to the terrain. They obey mainly to constructive directives, and ignore the differences between the two margins. This forces both cities to constant periods of mutual adaptation between urban form and crossing. This leads us to one of the problems in the urban shape of the two cities: the lack of an intermediate scale. The river and the bridges represent the huge scale and the secular fabric that struggles between hills and water lines represent the very small scale. 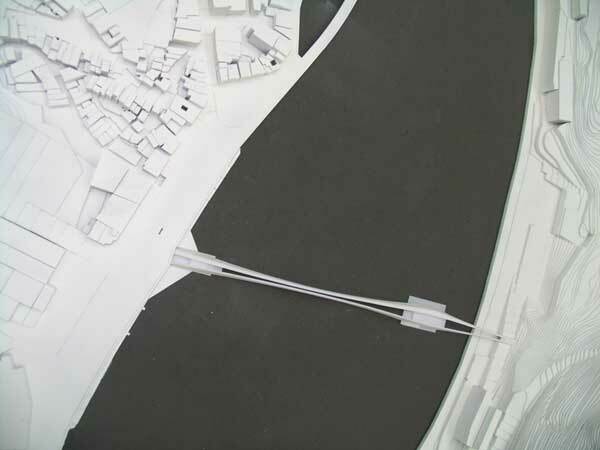 The aim of the project is to connect both cities by their margins, proposing a new treatment for the banks of the Douro River. The choice of the site goes in the way of a de-congestion of traffic on bridge Luis Ist and to provide an effective connection between both cities’ up and downtowns, merging the local with the metropolitan scale. An inhabited bridge is a model of density working to stimulate urbanity, being an element of urban communication, and a vector of sociability and development. 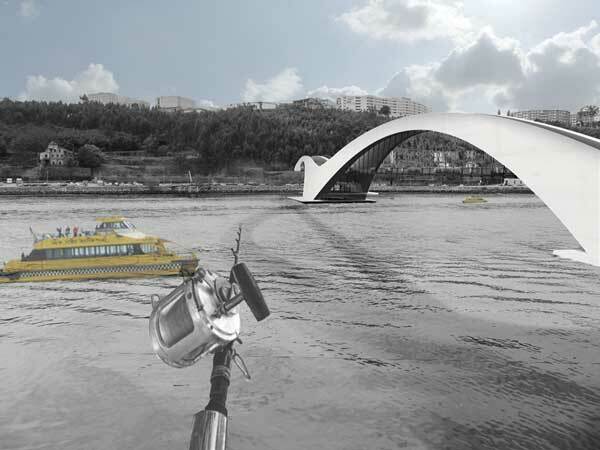 This project gives a new role to the river, by supporting new activities, enhancing public space and new mobility.